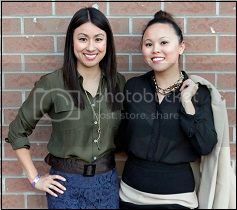 > A memorable evening to honour the women in your life in support of Ovarian Cancer Canada. Enjoy a fashion show, silent auction, and a delicious selection of hors d'oeuvres and wine. > Beer, Burlesque and Business Networking! Can't be more fun than that! > It's all about Love, The Internet and Friendship! Round up your girl friends' for a night in the city and celebrate the launch of Romi Moondi's book "Year of the Chick". There will be cocktails, giveaways, cool swag and more.